...has whizzed by, hasn't it? I've been doing NaNoWriMo(nth-and-a-half), hoping to finish a scratchy first draft of a novel by mid-December, for workshopping purposes (well, I'm hoping ROR will reveal to me the novel towards which this draft is directing its stabbings-in-the-dark), and I'm up to nearly 40K—I definitely won't make the 50K needed to 'win', but I will have 40K+ words on a new novel that I didn't have before, which is a good feeling, especially as I've been eyeing off this novel for, well, too many years now. My God, we're looking down the throat of the Christmas already! 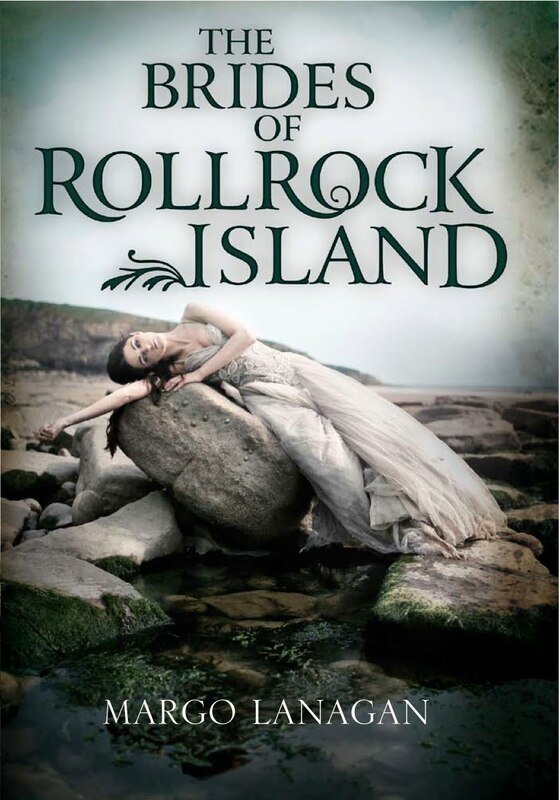 And then there's reading for ROR, and then there's ROR, and then there's Sea Hearts/The Brides of Rollrock Island publication. Better get this novel-drafting out of the way soon, to make way for all that. Yes, so I think the title-wrangling is all done with now, and that the selkie novel will be called Sea Hearts in Australia, and The Brides of Rollrock Island in the UK and the US. Here is the British cover, and appropriately bridely it is, no? Apologies for a slack month's no-blogging. Was I really that busy? Well, there were the two book talks, both of which went off very well. There was the proofreading of Sea Hearts/Brides of Rollrock for both the Australian and the UK editions, which fortunately could be done together with a bit of funnelling of extra corrections either way. I had a noice toime meeting sales people from bookshops with Allen & Unwin a week or so ago, and recording a book trailer. And I worked on the short stories that will come out in February (I hope—I'm still finishing off the last one) from Twelfth Planet Press. So, yes, there was quite a bit on, when you add day job and beach weekends to that. November looks quieter, except that I'm trying to have a good go at the next novel, the NSW colonial fantasy. So far my hero is dallying in Ireland, waiting for a chance to murder someone so that he can be transported. Move along, man!